M a j o r - l e a g u e p l a y e r s , i n t u n e w i t h o u r c o m m u n i t y .
Greetings from the ATL Symphony Musicians! We hope this finds you well, having enjoyed Thanksgiving with friends and family! We have much to be thankful for as we look back at the last three years. The hard working ASO staff, ASO Board, and a supportive Woodruff Arts Center have been collaborating to put the Atlanta Symphony Orchestra on a path of restoration. The Musicians’ Endowment Campaign raised over $25 million in less than two years to restore 11 positions lost in 2014 due to severe cost cuts. We all anticipate hopefully returning the orchestra to a strength of 88 musicians by the 2018-19 season, pending results of upcoming auditions. We are also very grateful to current and new donors who have supported the ASO with the understanding that investing in the ASO is a worthy cause. The ASO musicians have also been working harder than ever, performing wonderful concerts from classical to movie scores and popular music. It is exciting to see the attendance for these performances significantly grow. As a result of everyone joining forces, the ASO has produced three consecutive fiscal years of balanced budgets with surpluses to boot. The financial stabilization of the Atlanta Symphony Orchestra was absolutely critical in ensuring the future of the organization. As we look forward, there remains much to do as we work to regain our position among major American orchestras. We must ensure that the artistic growth of our organization is continuously nurtured through the quality of the programming we are able to offer, the guest artists and guest conductors we are able to work with, and the restoration of competitiveness with other orchestras as we search for talent on stage. The ability to attract and retain the best musicians is crucial in building the orchestra for the future. This newsletter shares the news of two key members of the orchestra who have announced their retirements. Principal Cello Christopher Rex and Principal Viola Reid Harris have devoted many decades of their lives in making this orchestra a wonderful ensemble for our community to enjoy and to be proud of. Their intense dedication over many years has been critical in building the ASO into a world-renowned ensemble. We are so thankful for their service to us and their sharing of their love of music over the years. In this issue you will also meet the newest members of the ASO who are so important in the rebuilding of our orchestra. We hope to share holiday spirit and joy with you this December in Symphony Hall, and thank you for your past and future generous support of the orchestra. Musicians’ Endowment Fund Exceeds $25 Million Goal! Thanks to a very generous pledge of $2.5 million from The Delta Air Lines Foundation, the Atlanta Symphony Orchestra has exceeded its $25 Million Musicians’ Endowment Campaign goal, nearly two years ahead of schedule. The Musicians’ Endowment Fund was created to restore 11 positions to the Orchestra by 2018. 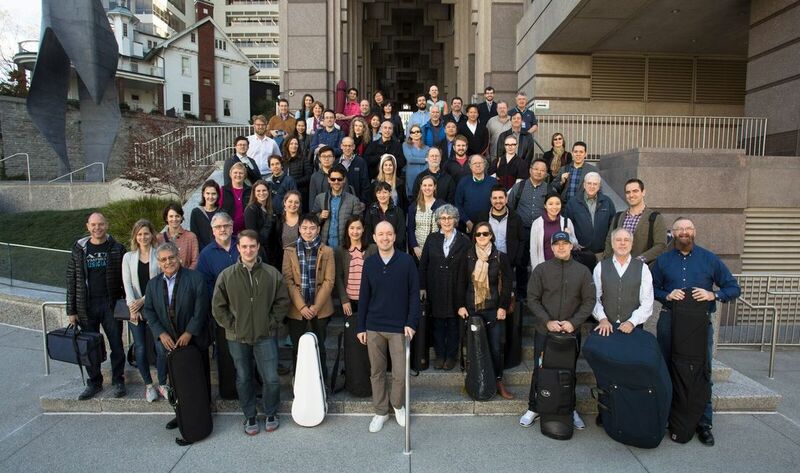 To date, more than $25 Million in funds have been committed and nine musicians have joined the Orchestra over the past year, six as a result of the Endowment. The Orchestra plans to fill the remaining positions early in the 2017-18 season. Over the past year, the Orchestra has welcomed seven new musicians to the Atlanta Symphony Orchestra family with additional auditions planned this fall. To recognize the generous gift from The Delta Air Lines Foundation, the Principal Tuba Chair, held by Michael Moore, will be endowed and named The Delta Air Lines Chair. The named chair is a fitting tribute to Moore, who is celebrating his 49th season with the Atlanta Symphony Orchestra. This achievement would not be possible without the support from the Atlanta Symphony Orchestra family and the Atlanta community. In addition to The Delta Air Lines Foundation, the Atlanta Symphony Orchestra would like to recognize The Robert Woodruff Foundation, the Estate of Betty Gage Holland, Connie and Merrell Calhoun, Sally and Carl Gable, the Abraham J. and Phyllis Katz Foundation, The Kendeda Fund, The Philip and Irene Toll Gage Foundation, Solon and Marianna Patterson, Lucy R. & Gary Lee, Jr., UPS, Wells Fargo, along with two anonymous donors in recognition of Betty Fuller and Terry Neal. These donors join The Delta Air Lines Foundation in contributions of one million dollars or more, which will help ensure the future of this institution for generations to come. It is official! ATL Symphony Musicians Foundation has been granted tax-exempt status by the IRS. Donations made to the Foundation are tax deductible under government guidelines. ATL Symphony Musicians Foundation web site www.ATLSMFoundation.org. For more information about upcoming concert events featuring the ATL Symphony Musicians please visit www.ATLSMFoundation.org. Donations to the ATL Symphony Musicians Foundation, a tax-exempt nonprofit 501(c)(3) organization, are used to produce concerts and community events which feature ATL Symphony Musicians. Donations to the Foundation are tax deductible under government guidelines. Contact the ATL Symphony Musicians Foundation if you'd like to help produce a concert, become a volunteer, be a concert sponsor, purchase tickets, and more. The music is ongoing! But the arts deserve support and attention as well. The Woodruff Arts Center has grown into the third-largest arts center in the U.S. and it continues to produce great art at the Alliance Theatre, the Atlanta Symphony Orchestra and the High Museum of Art. But opportunities are limited and challenges are very real because the arts are almost entirely dependent on private support. Today, the state of Georgia ranks 50th – dead last — among all states in support for the arts. Just a small infusion of taxpayer money would make a huge difference in assuring that the arts can continue to thrive, not only at the Woodruff Arts Center but across the entire arts community. Every great city touts its quality of life in order to attract new investment. International investors and visitors, in particular, place a very high premium on the arts in their assessment of quality of life. Like transportation, green space and health care/research, the city and state need to invest in the arts to assure that Atlanta’s quality of life continues to measure up. A native Atlantan, Doug Hertz is the chairman of the Board of Trustees of the Woodruff Arts Center. 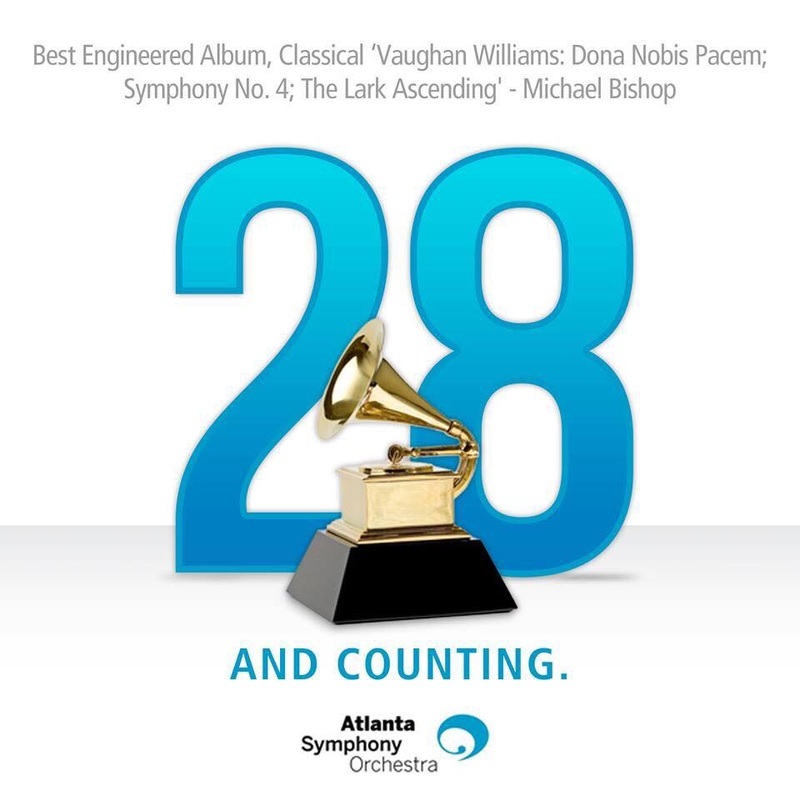 He is also president and CEO of United Distributors Inc.
Robert Spano leads the Atlanta Symphony Orchestra & Chorus in stirring readings, and the emotion and power of the performances makes a compelling case for the album, surely for any who find themselves brooding over the subject of war. Many thanks to Sally and Carl Gable for their generous gift and for their belief in a world-class ASO! Let's hope this generous gift inspires more giving from the Arts lovers and patrons of Atlanta. This is great news to begin 2015! The Atlanta Symphony Orchestra, which seeks to endow 11 full-time musician positions over the next four years at a cost of approximately $25 million, received a $1.25 million gift from an Atlanta couple, announced Wednesday. The gift from longtime ASO patrons Sally and Carl Gable is an incipient one in the ASO’s drive to add 11 endowed full-time positions by the end of the 2017-18 season. “I think everybody now is just pulling forward and looking forward to the future,” said Gable, who said she’d like to see the ensemble grow to 95 and return to touring internationally.